Welcome to our colleagues from SCOLT 2016! Find our handouts for Quizizz, Plickers, Kahoot, This is Language, and FlipGrid by clicking the link below. Artista de la Semana… Meet Baile Viernes! In my previous post I shared about dabbling with incorporating a musical artist of the week into our lessons. We start on Monday with a slide show and introduction to an artist and use information about the artists for CI that is interesting and engaging for our students. Then we use that artist and his/their music throughout the week in a variety of ways. We work closely with at least one song, but also use what we have learned about the artists to help us work through some of the concepts we want to address. For example, in Spanish 1, we are talking about introducing ourselves and likes/dislikes (we just started class at the end of January). Since we had talked about Nota & Gente de Zona as our Artistas de la Semana so far, we also used a chart such as the one below to help us work on tangible uses of también, tampoco, and pero by building sentences based on the content of the chart. 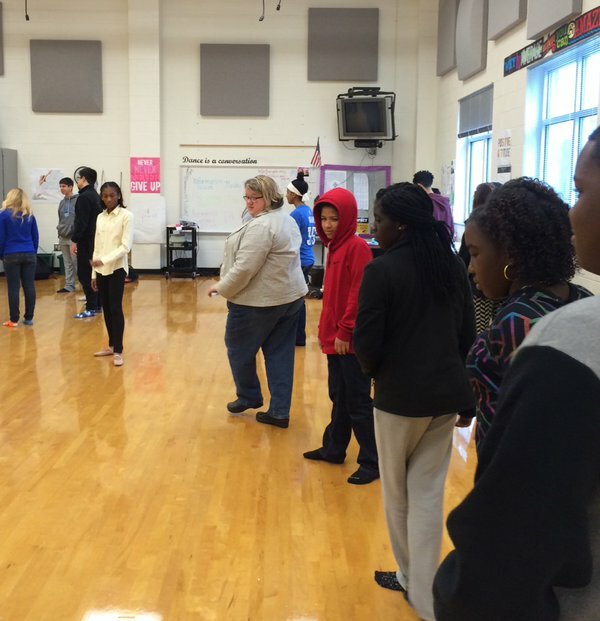 Other activities have included putting song lyrics in order, cloze activities, and Factor Pop! from Zachary Jones. 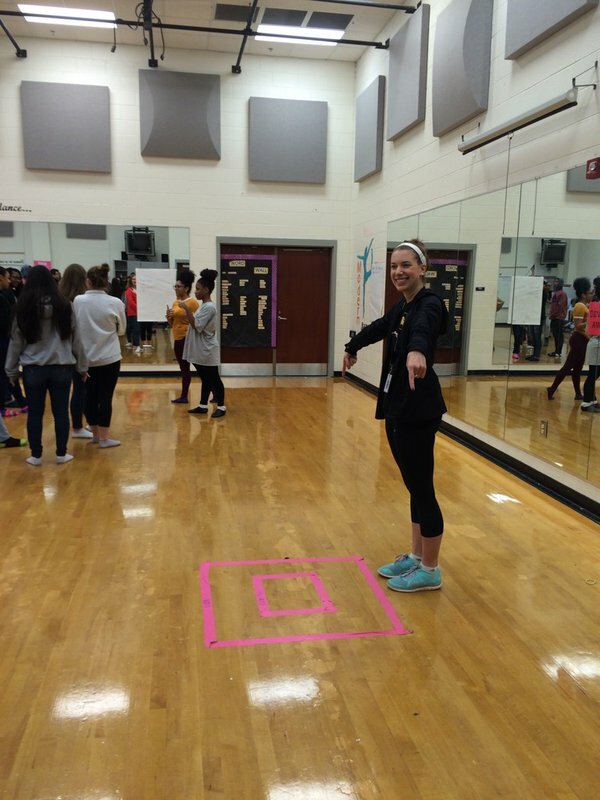 Last semester, before I had figured out an organized, coordinated, streamlined way of pulling this off, we had tried Baile Viernes from the amazing Alison Wienhold with much enthusiasm from the teachers, but tepid response from the students. As an aside: last semester was hard. It was daunting list of daily new challenges in our renaissance school, and students who were widely varied in their levels of enthusiasm about the process of change. Nonetheless, I wanted to give Baile Viernes another try, and so last week I got to unveil Artista de la Semana-Baile Viernes 2.0 with the help of my brilliant dance teacher colleague, Christine Prosser. We met over the break between semesters and figured out that some of our cultural goals/standards for Spanish supported standards for dance, and vice versa and decided to try out a collaboration for a few weeks this semester. The breakdown: On Monday the Spanish students started Artista de la Semana as normal, and continued as described above. Part of our discussion is the musical style and a little about the geography of the music for the week. 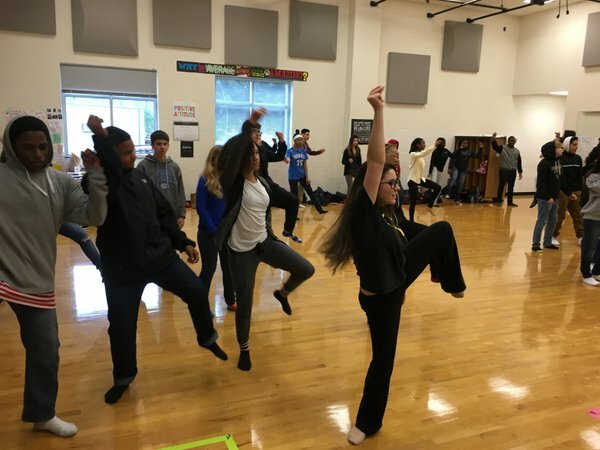 The dance students worked with the same song, studied the musical and dance styles as well as the history of the geographic origin of the song. They choreographed a 60 second dance work over the course of the week. On Friday the Spanish students went to the dance room for the last 30 minutes totally unaware. 🙂 Once there, we introduced the project and the dance students performed their piece. Then the dance students became the teachers and we broke the Spanish students up into groups. The dance students taught them their choreography–in this case, some bachata to accompany La Gozadera by Gente de Zona. After about 15 minutes of group work, everyone came back together and we all danced to the music. While some students were reluctant, there were others who were totally energized and enthused. It even connected with my most challenging student of the term so far–he came back to tell me that it was the favorite thing he had done this week. We had a teachable moment to talk to students about risk taking and also being good audience members. Some of our dance students are Hispanic and they talked to the Spanish students about their love for this kind of art. I got the opportunity to collaborate with an awesome young teacher, a partnership that we hope can continue for a long time to come. Students got the chance to try something new. Here’s hoping next week is totally wonderful too! Next up: Vivir la Vida by Marc Anthony. How have you collaborated across disciplines?